Bungie’s first game since it cast of Microsoft’s Halo-flavoured shackles is coming to consoles later this year. It’ll be coming to both the new systems, and those old dinosaurs – the Xbox 360 and PlayStation 3. As is the worry with most cross generation games, those without the news systems suspect they might end up with the short end of the stick. Bungie wishes to allay those fears. Of course, that brings up one of the biggest worries that people with new consoles have about cross-generation games; gimped experiences. Don’t worry though, PlayStation 4 owners. 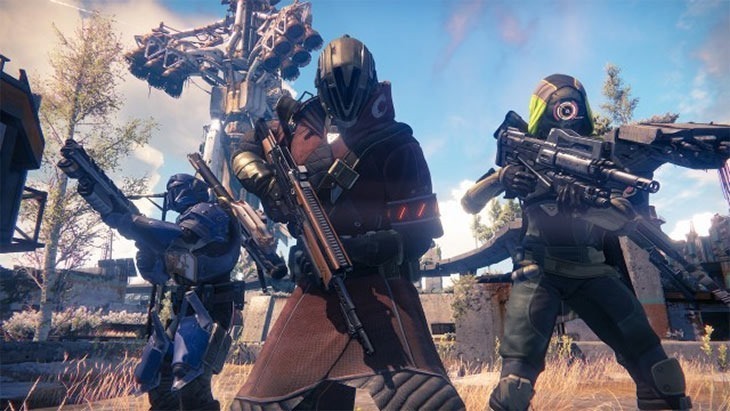 Bungie will be leveraging that system’s unique strengths..by giving gamers sharing features and flashing lights. “We’re taking advantage of the cool things Sony’s doing with the [PS4] platform” lead designer Lars Bakken said to PlayStation UK. “The Share feature’s great – I love that thing. We’re also doing some cool lightbar stuff that’s extremely subtle. Destiny is Bungie’s MMO that’s not an MMO, and is being published by Activision who’re spending a heck of a lot of money getting this thing off the ground.